LIFE & STYLE: What can those who haven’t picked it up yet expect from your album, A Matter Of Time? 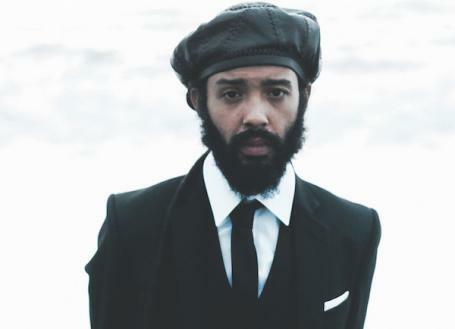 Protoje: Unexpected stuff and new sounds. It’s not traditional reggae music or traditional Jamaican music, but it’s still indigenous to the country. It’s ground-breaking, putting in new sounds, just trying something different from the last project. L&S: Was that always the plan? P:Ancient Future was different from The 8 Year Affair, and that was different from Seven Year Itch, so I am not going to try and make what I have made already. So, I wouldn’t say we had the exact idea, but I knew I had to trust the time and trust the process and l knew that by the time we were finished we would have had something very different and unique. 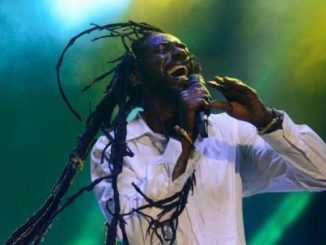 L&S: Why does the world seem ready for reggae from a Rasta perspective like no other time? P: I can’t say it’s more ready now than it when it was Bob and them trodding through the 1970s and ‘80s. They seemed very open to it then, actually even more than now. I’ve been America a lot and the 16- and 17-year-olds are not on a ‘truths and rights’ ting. You have some of them but it’s bare mumble, mumble, bang, bang ting that they really pree. So I wouldn’t say those yutes are the most receptive that yutes have ever been but at the same time there is a cross section of people that are very open to information and they see what’s happening in the world. The thing is, every time the world is in crisis it’s always the best time for Rasta and reggae music. 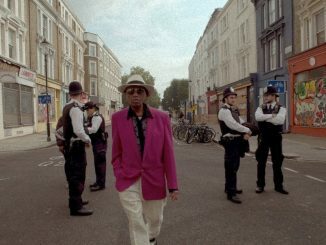 So seeing as the world is in crisis again with bare confusion and ting, our music will always have a spot and a voice. 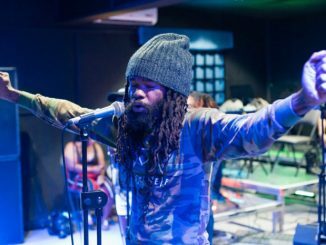 L&S: Chronixx features on the album – why did you make sure that happened? P: It wasn’t even planned. I was just at his house chilling one weekend and he was like, ‘Yo, play me some stuff, I need to feel inspired’. So I started to play him some tracks from my album and he started to catch a vibe and he was like, ‘ Yo, put me on, I need to get into the studio, let me do some work’. I was very pleased that he wanted to come and do some music again, so I brainstormed a bit and gave him a track and he came to the studio, worked on it, loved it and then he was playing me something else. We loved that, too, and he wanted to hop on, which I was very receptive to. I kind of really wanted him on one song, which is Flames, which he really liked, so it worked out perfectly. L&S: Is there any track from the album that resonates with you the most, or has a special place in your heart? 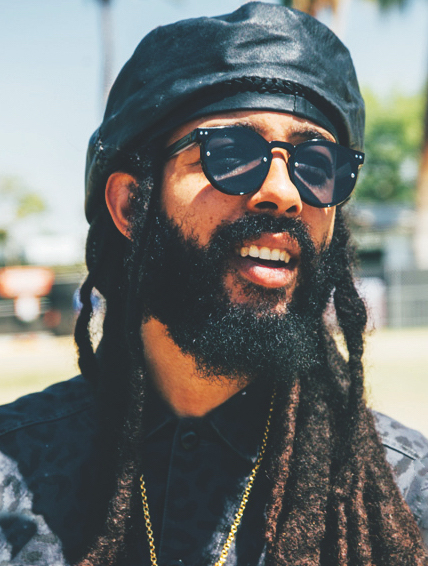 P: I love Lessons, I sang on it and it’s really personal, but track one, Flames, with me and Chronixx, kicks off the album and never lets up until it’s done, so I am personally very pleased with it. My music – I think – ages very well, so I think when the album comes and a couple months pass, the true feel of it will come out properly. L&S: If music is motivation, whose music motivates you? P: Ini Kamoze, Black Uhuru, Jay-Z, Slick Rick and Tupac for sure. Damian Marley, Sizzla Kalonji. Right now I listen to Chronixx’s music a lot, my peers, and all sorts of things. P: Coming to Kingston was the first thing – moving to the city getting closer to the music. I started a little sound system and I selected and bought records. I listened to every song. I always knew that I wanted to write music and I was good at it. Once I started to dive into it some more being on the live scene and playing every live show around the area, working on my band and putting all of those things together, I just gradually got super prepared and got all of the tools and skills I needed without really knowing. I then realised, ‘Okay, I have everything I need now to make that level of impact’. Once I got a crew of people that were on the same vibe that I was on then it just kind of kicked in. P: It started off with me and Jah9, initially. She was very influential in the books that I was reading, philosophies I was coming around and then she introduced me and Kabaka (Pyramid) before others came together. Rastafari is the message and the binding force. We all have different beliefs but at the same time we can all come together. After I started my label and brought people in under that – authors, videographers, writers – bringing together a real squad was a key thing for me. L&S: Talk about some of your ambitions in and outside of music, what do you still hope to achieve? P: Just to continue to grow the music globally and for it to be a global force. I’d like it to be a force in the industry so that yutes can have something to aspire to and have jobs in the industry as well as be artists. If I am an artist and right now I have 15 people on payroll, it opens up the industry. The more successful I am the greater that can go. If an artist is successful then there is seven or eight artists get an opportunity to go on tour, videographers get jobs, photographers get jobs, chefs get jobs. It’s like a whole industry. Outside of that producing and managing artists and talents that is a huge thing which I have always wanted to do. I also want to write movies, screenplays, so stuff like that. I want to be involved with a track club, too. I love track and field and my dad is an awesome coach. Anything to do with working with the youth development, I am into.